Banner Ad Copy – What’s in a Language? 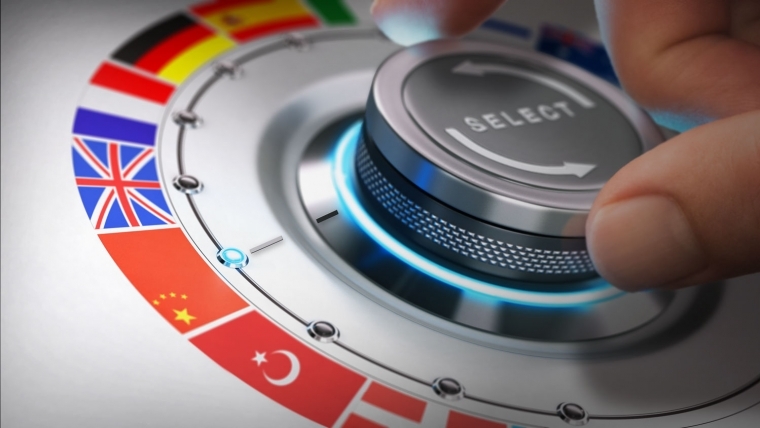 We know that every single affiliate marketer agrees with us when we state that different languages can really impact the strength and effectiveness of your affiliate marketing creatives. That’s right: banner copywriting can make or break your affiliate marketing path! You probably agree that there are many affiliate banner examples of this difficulty! In this article, we’re not only gonna explore the importance of languages but also explain how you can use them to ultimately skyrocket your business like a wunderkind. We’re gonna go over the solutions and methods you can use to translate your affiliate creatives, banners and texts and also which software or resources might be useful for you to make your job as easy and smooth as possible! By the end of this article, you’ll get to know more info about how to use the most efficient methods and linguistic tricks to write banner ad copy and get users to click your banners! Let’s explore how to translate some affiliate creatives! Depending on how you work and drive traffic, the topic of language can be more or less important. We know that there are other crucial aspects to think about when playing the affiliate marketing game, no doubt about it! Even so, language and how you use it is a fundamental part that shouldn’t be overlooked and can definitely make or break your path! That it’s always very important to do things right and to follow our guidelines, of course! Now let’s really understand why language is so critical. Let’s pretend you’re a Media Buyer. Let’s say you’re a Media Buyer hailing from the UK and that you’re just starting your business adventure. You don’t have that much experience when it comes to online affiliate marketing. Now let’s imagine you wanna launch some campaigns in LATAM countries. You pick a super awesome Mobidea offer and then go on to buy some Latin American impressions. Since you’re someone who doesn’t know much about the biz, and probably think it makes no difference whatsoever, you decide to upload some banners without thinking about the language used in the display ad copy. The language chosen by you, our hopeful yet misguided partner in crime? Now you’re gonna launch your campaign. You feel ready to go. Every inch of your cerebral grey matter thinks you’re gonna become rich with this campaign. After a while, you realize you got a whole lotta impressions but virtually no clicks. You’ve spent your daily budget and got no return on your investment. What was the problem, then? Your affiliate creatives showcased English words, even though you happened to be promoting them in Spanish-speaking countries! It may sound obvious but, sometimes, even banner copywriting misspelling can have a huge impact on the performance of the campaign. Yup. No. Cicks. At. All. Let’s move on to another example. This time, let’s think about you as a social marketer. As you know, your success depends on how you express your message. You want users to engage and interact with your promotions, so you can generate clicks like a dope brother! This means that – if you’re promoting a super amazing offer for South Africa, and all your content, image, texts and pre-landers is in Spanish – chances are your interaction won’t be anything to brag about. You’ll definitely lose money and motivation to work. Because you failed to understand that adapting the language to each specific audience means A WHOLE LOT in this business. You’re now a Webmaster. You’ve got a website and everything. That having the creatives and banners showcasing the language of the target audience you want eating your ads like gelato is KEY. In fact, we must stress that any content, articles and news, must be in the specific language you want users to go for! You can’t create a website about European football clubs catered to a Latin American audience that’s entirely written in English. That’s right: a huge part of your audience won’t actually be able to read your content which means you’ll lose traffic faster than Trump lost his dignity! It’s also important to stress this out: if you’re a Webmaster who’s working with SEO, you should know that you MUST make sure to have your keywords written correctly! Because searched keywords must match the search engine queries. If you wanna appeal to an audience which is searching for specific keywords, you must bear that audience’s language in mind! That’s how you’re gonna be able to drive organic traffic to your website. We’re referring to those hyper special users who are looking precisely for the content you’re writing about. You’ve understood all the tips written above. Even so, you’ll still have to face the unknown and translate your banners, landers and website, making sure they’re all written in the language of the country in which you wanna promote. In order for you to get the best results possible, you need to write everything in the right language! Yes! Everything – from your page content, to the banners, and even the pre-landing page (in case you use them) – should be correctly written. Otherwise, you’re not gonna be optimizing your campaigns to their full potential. How to deal with the fact that you’re not a polyglot when writing banner ad copy? You can’t speak a million languages! Maybe you can speak a lot of different languages, but you won’t be able to write them in a way that seems natural, as if written by a native speaker. How the heck are you gonna deal with that? Here’s a quick-and-easy solution for you: Google Translator! Just type the words and let the magic happen! What’s the problem with translators when it comes to crafting translations for your display ad copy? They can’t really capture what the original language meant without sounding silly or too formal. The Mobidea Crew is here to help! We always have your back and you know it! We’re gonna help you out, showing you some terrific tools and wicked websites that’ll help when translations come your way! As there are online communities and forums specialized in cars, games, or sports, there are a few which are specialized in translations as well. These communities can boast about professionals and freelancers that work on translations every single day. Those spots are where you can find the help you need with your affiliate marketing creatives. The people who are part of these online communities take translations very seriously which means you’ve gotta pay for their precious support. Don’t worry about spending some dough because we’re positive that these guys will make your translations pop. Great translations = more people coming to click = more revenues! To help you with this linguistic clash, let us suggest a few communities that can provide good insights so that your campaigns reach the top and so that you can have THE best affiliate marketing banners! These fellows claim to be the world’s largest translator network and can really help you create affiliate banners that contain the specific message you want to get across! This community is directed at both translators and translation clients, taking advantage of the expertise of more than 300.000 professionals. If you’re looking for a tough language combination (Arabic to Tagalog), dialect, or someone with a specific subfield of knowledge (Mechanical Engineering, Medicine, etc.) then Proz is a good place to look at. The site offers a lot of resources for translators, both those people who are just starting out and those who’ve been in the business for a while. Hurry up, sign up and don’t be shy! People are there to help you out! Registration in this online community and forum is free and directed at professional and amateur translators. The website is user-friendly and easy to navigate. In order to request a translation, you only need to create a job post, explaining what you’re gonna need and BAM – you’ll automatically receive offers from translators to perform the job. There’s a bidding system involved, which you’ll use in order to get a translator. You just need to find the perfect match between their bid and your budget! This website is mostly recognized for being the holy grail of free online language dictionaries. In fact, it’s the place to go when you need help with your translations. However, what most people aren’t aware is that the page also has a forum section. The forum is divided by language so it’s very easy to work with. In order to become an active member on the community you just need to register (which is free) and you can start posting questions right away! Moreover, and in case you didn’t know, Alexa ranks the WordReference language forum as part of the Top 500 most visited pages worldwide. With more than 500 million users and 2 billion entries, this forum can be a very helpful tool if you need a quick translation for your banner promotion! Just like you can find online communities and forums that are specialized in translations with freelancers and other pros available to help you, you can also find the help you need on online dictionaries/translators. They may not be the most accurate or exact when used in translation, but they do come in handy to understand expressions and their full meanings, while at the same time showing different ways to translate your sentences and words. It’s both a translation dictionary and search engine that can really help you translate your affiliate marketing creatives. We’re sorry to crush your dreams but the truth is it won’t translate a full website for you. However, you can always type in words in languages you don’t understand and check what they mean. In addition, you can check contextual translations and other documents around the web where the word/expression is effectively used so you can get a feel of how to use it correctly. If you need a quick to-go translation, this may not be the most convenient tool. Even so, if you’re looking for a real dictionary or vocabulary tool that also gives you rich context, Linguee does the trick! Wanna take full advantage of Linguee’s capabilities? Use it along with Google, Yandex or Bing Translator since they complement each other nicely. Together, they can provide more in-depth context and meaning for everything you need to translate. You’ve just gotta type what you want to translate and the results appear in the blink of an eye. Translations are based on real-life examples of millions of words and expressions, followed by examples of use, extractions from documents translated by professionals, websites, official documents, movie dialogues, newspaper articles, product descriptions, etc. It’s got a user-friendly design, which makes it a super suitable mechanism for both beginners and professionals. It’s a powerful, educational and most importantly free tool you can use to rule the realm of affiliate marketing with the best affiliate creatives around! One of the awesome things about the Internet is that you can connect with people from all over the world without leaving your couch. Social Networks have millions of users and are probably the easiest and best way to get to know people from other countries and do business. By connecting with people from different nationalities, you can easily make new friends that can help you out with your linguistic problems. For instance, let’s think about Facebook. Apart from being the most popular and used social network, it’s got groups that are specialized in translations. If you type on the Facebook search bar for “translations/language groups” it will show up lots of groups focused on this subject. Just request access and you’ll quickly become part of a community with hundreds of people from all over the globe that can help you with your translation needs. Apart from being totally free, you can get to make real friends! You know full well that the Internet has got the answer to everything! Your Account Manager or the Support Squad are unavailable to help you out with the translation? Your language skills are a little bit rusty? Then you can use this method to verify whether or not your translations are well-made! You can use one of the many free online translators available – Google Translator, Bing or Yandex. Then, select the language you wanna be translated to and type your text. You should be very careful with the translation’s outcome, since it’s often not gonna be 100% sharp and it may not take the context into account. So, what should you do after this? Copy and paste the outcomes in your search engine! Then, you’ll be able to find the fine-tuned and correct expression as it’s used in the specific country or region. This method works as a simple double checker of results as you don’t wanna mislead or sound like a damn weirdo to your potential customers. If you’re in a hurry and nobody can help you out, this really is a quick method to translate a short expression or just a few words. We don’t recommend you use this technique to translate a huge amount of text, such as your landing page, for example. Because you’ll most probably end up with a text filled with mistakes or with many linguistic and grammatical inconsistencies. If you need help or have any doubts while translating, your Affiliate Network’s Support Squad and Account Manager will help you out for sure! They may not be the Kung Fu masters of languages but we’re sure they’ll be more than glad to assist you and try their best. Plus: don’t forget that – nowadays – most of these companies work in multicultural environments with lots of colleagues from other nationalities. Wanna know what it’s like here at Mobidea? The Mobidea Crew is super multicultural! We’ve got more than 20 different nationalities in our offices. We’ve got members who speak Portuguese, Spanish, Russian, English, French, Chinese, German, Italian, etc. We’ve got so many different nationalities it feels like working in the United Nations, bro! We’re sure all this diversity will come in handy when you need help with your translations. More and more professionals are taking their talent and skills to the digital field promoting their services in freelance sites for more appealing prices. This opens up a whole new world of opportunities for people like you – folks who wanna make their affiliate marketing path more professional and profitable. Below, you’ll find a small review of two of the best freelance pages. Even so, you should know that there are plenty of them around for you to explore! Upwork is a freelancing platform where businesses and independent professionals from all over the world can connect and cooperate. It’s got more than three million jobs posted every year, twelve million freelancers, and five million registered clients. On the website, you’ll find a wide variety of services, from programmers to designers, writers, customer support representatives, to translators. In fact, this is a simple solution to translate your affiliate marketing texts and promotional tools. You register on the platform, post a “job”, explaining your project and what you’re gonna need and then Upwork will get you an array of suitable freelancers. You’re also able to browse profiles, create job proposals, and get an interview with your top candidates. Another advantage of using Upwork? The payments are all done through the platform. Moreover, you can also use Upwork’s Protection program, only paying for work you’ve previously authorized. Fiverr claims to be the largest marketplace for digital services from writing, translation, graphic design, video editing and programming. Indeed, you can find everything at a great price! Prices begin at $5 per job and can go up to 500$, depending on the freelancer’s rate. Fiverr is primarily used by freelancers that wanna offer services to customers worldwide. By registering as a buyer, you’ll have access to a global network of quality freelancers that can help your affiliate business grow to new levels. These cool freelancers can either translate your promotional materials or help you design them according to your guidelines. Taking everything into consideration, it’s always worthy to invest some time trying to come up with the best affiliate creatives to promote your offers and get a higher reach. Don’t underestimate the power of language in affiliate marketing when it comes to writing banner ad copy. As we’ve said before, it may not be the most important element in mobile affiliate marketing. Indeed, traffic, offers, payouts and investments can be much more important. However, don’t forget that this aspect can help skyrocket your revenues and can even be the difference between making you a rich customer or a dirt poor disappointment. Investing your time and money on creating clean affiliate marketing banners is always better for your business and credibility. Otherwise, it can be really challenging to optimize your work and campaigns. Be sure to make things right and use the appropriate language and grammar when promoting your offers! We hope these tips and suggestions can help you grow with the Mobidea Crew!